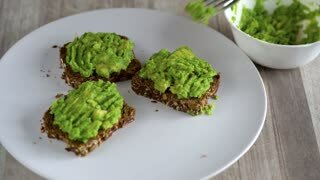 Search Results for "avocado toast"
Spreading mashed avocado on toast. Healthy vegan breakfast. 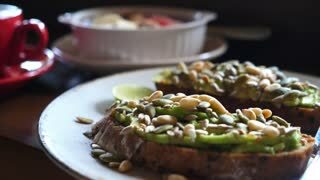 Spreading mashed avocado on toast and sprinkle with salt and spices. Healthy vegan breakfast. 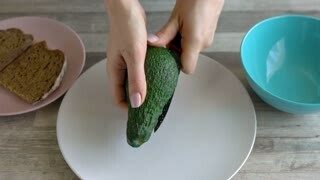 White woman cutting avocado. Caucasian female preparing healthy meal at home. Top view of young girl making avocado toast. Young female preparing healthy meal in slow motion. White woman putting raw salmon on avocado toast. 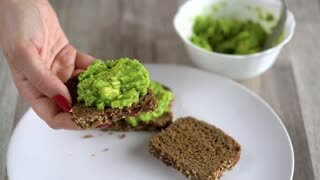 Slow motion shot of white woman making avocado toast. Side close up shot of young female preparing healthy meal at home. Avocado toast with poached egg - traditional hipster breakfast or brunch meal. Top View Of Healthy Breakfast With Avocado Toast And Orange juice. Closeup. Young Vegan Woman Eating Avocado Toast. 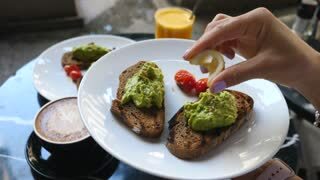 Female Hands Photographing Food For Breakfast, Avocado Toast By Smartphone. 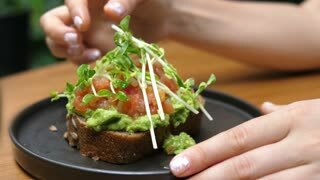 Closeup of female putting mushroom topping on avocado toast. Young white woman making healthy snack at home. 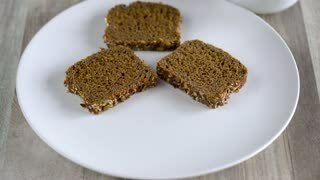 White female cutting buckwheat bread. Top view of young woman preparing avocado toast. Slow motion shot. 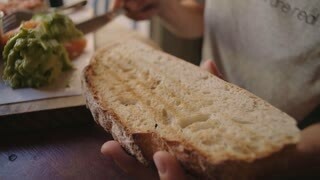 Close up of white woman cutting buckwheat bread. 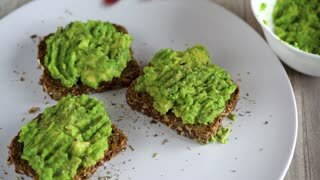 Young female preparing avocado toast.